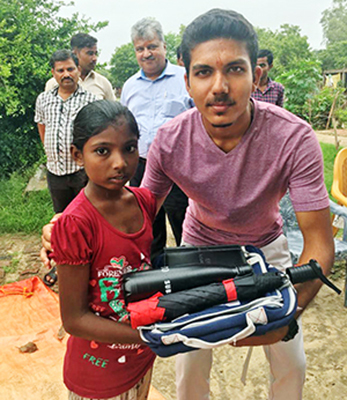 Ekal Youth Team kick starts #OneActOfKindness on facebook. 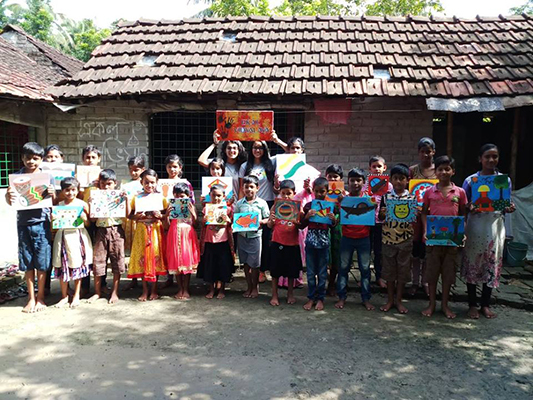 EYT is a group of students committed to making a difference by raising funds to support Ekal in its mission to bring education, healthcare and development to the remotest villages of India. In addition, they also volunteer to support causes in their local communities. Through this campaign the goal of EYT is to emphasize the impact of spreading positivity, brightening someone’s day and building self-confidence to make a difference. Three galas are being hosted this year. Ekal Houston will also be holding a gala on Oct 6th at the Sugar Land Marriott Town Square, 16090 City Walk, Houston TX. The Multilingual Indian Idol winner, Sreeramachandra will be singing at the Future of India Galas being hosted by Ekal DC and Ekal New York. Sreeramachandra is a professional singer and 2010 Indian Idol winner from Hyderabad whose debut playback career started in the Telugu film industry. Sreeram won the fifth season of music reality show Indian Idol 5. In 2013, he made his Telugu cinema acting debut with the film Sri Jagadguru Aadi Sankara. Sreeram has given chart buster songs in eight Indian languages. 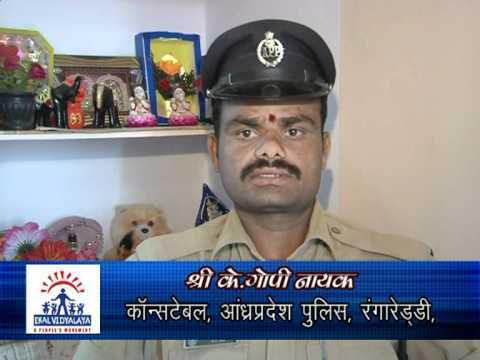 The State Government of Andhra Pradesh honored him with the Lata Mangeshkar Award. The Ekal DC will host its Gala on Oct 12th at the Congressional Country Club, 8500 River Rd, Bethesda. Dr. Subhash Chandra, founder of Zee TV is the distinguished keynote speaker. The Ekal New York will host the Gala on Oct 13th at Cipriani, 55 Wall St, New York. John Sculley, former CEO of Pepsi and Apple, is the distinguished keynote speaker along with Dr. Subhash Chandra. 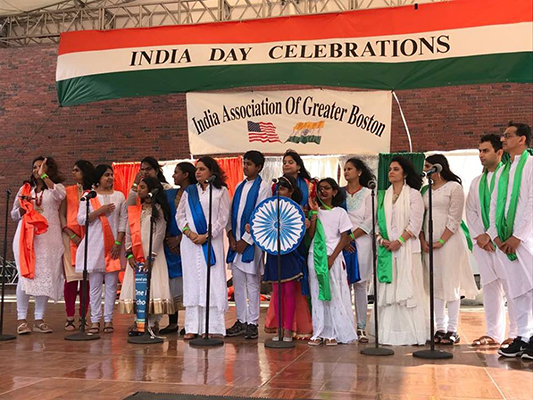 Team Ekal participated in IAGB India Day program on August 19th in Boston. Ekal Vidyalaya team sang 'Swagatam' song welcoming every one with the opening number, a message of growth, friendship and positive vibes.The song was directed by Jyoti ji. Kudos to all fellow participants who put together magnificent performance. 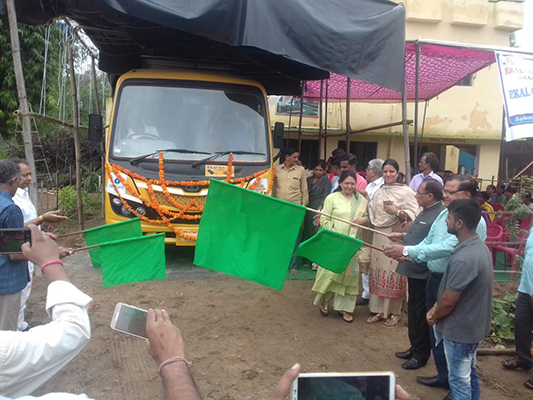 On 6th August 2018, Ekal computer lab bus was flagged off by respected Shri Laxminarayan Goyal and Shri Indra Mohan Agrawal in Brasgandal zone sub-division at Gajraula GRC Centre, Gramaulala Zone, Grammukteshwar. 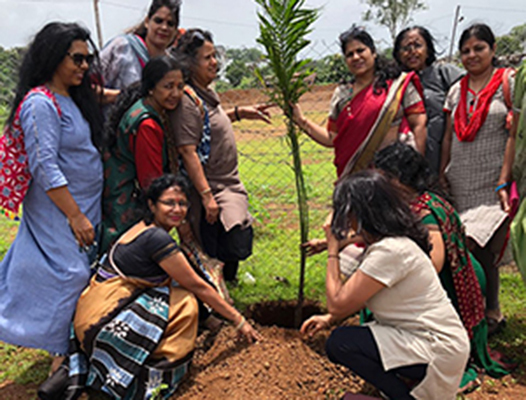 On this occasion, the local committee office-bearers Shri Rajneesh G. Narendra, Shri Abhishek,Shri Sudhir, Shri Rajbahadur Singh,Shri Chandravir, Shri Shivam, Shri Ramavtar Tyagi, Shri Sunil, fulltimers and all the sisters of sewing centre and Gajraulla Sanch Acharyas were present. 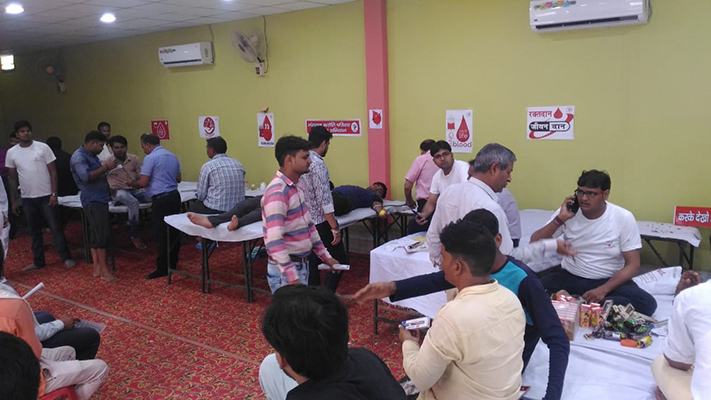 A blood donation camp was organized on 5th August 2018 in Sri Krishna Vatika of Fatehpur Sikri Nagar along with Mangal Karoti family and Arogya Foundation of India. 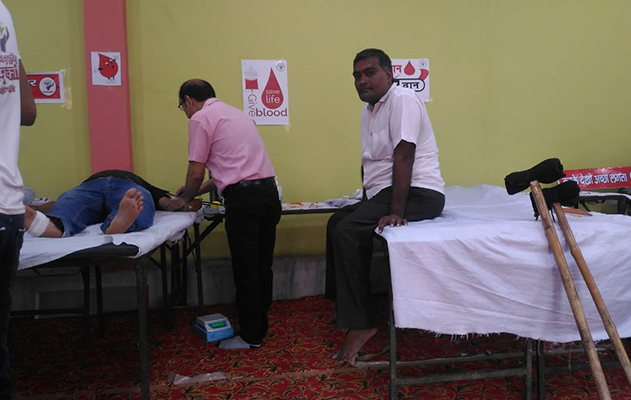 181 people took part with full enthusiasm and donated blood. 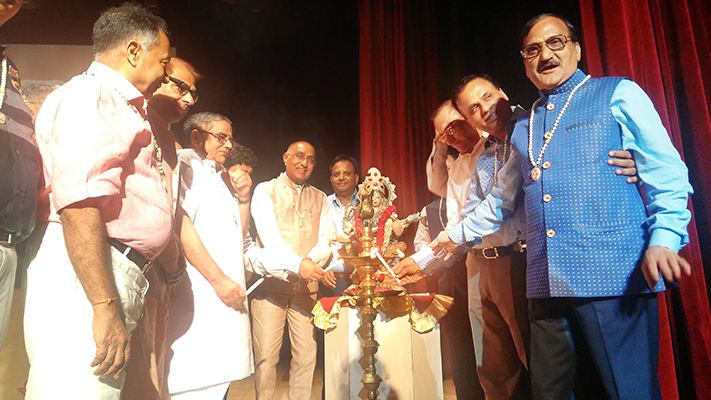 Honorable President of Mangal Karoti, Shri Sumesh Goyal, Shri Rahul Ghati, Shri Alka Goyal and Arogya Foundation, Agra's Shri Satish Gupta, Dr Premchand and other dignitaries made this program successful. 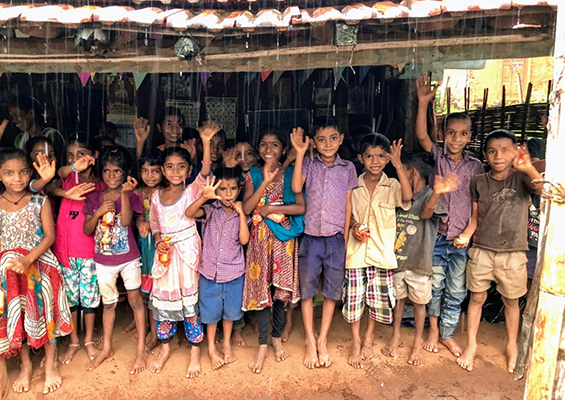 FTS Chennai’s Raffle Scheme initiative has proved to be a very successful model to connect with urban children, thereby inculcating the importance of charity and also raise funds for Ekal Vidyalayas. Recently Maharishi Vidya Mandir Senior Secondary School, Chetpet, Chennai School students have sponsored for 45 Ekal Vidyalayas. 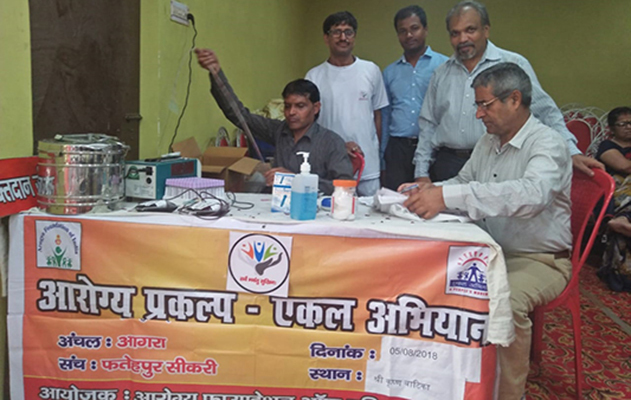 On 5th August 2018, Ekal Abhiyan’s Bharatiya Lok Shiksha Parishad opened a new chapter in Muradabad. The program started formally with lighting Deep. 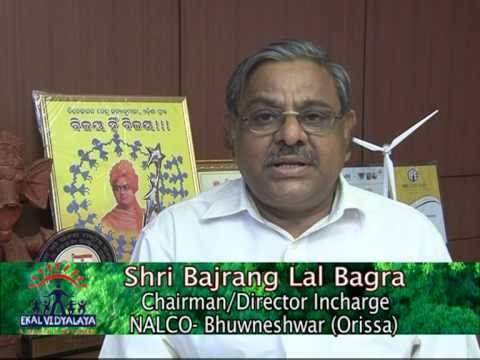 The dignified presence of Honorable Shri Shyam ji Gupta, further enhanced the energy of people involved in the program. He said that we should liberate people from the slavery of ignorance by providing them with knowledge and education and that the people of Moradabad will definitely fulfill the needs of the poor and helpless. Shri Nand Kishore Agrawal, National President, Bhartiya Lok Shiksha Parishad said that, donating for education is the biggest form of donation and will give satisfaction. By joining them in a single campaign, he also appealed to the people to come forward in the creation of the nation building. 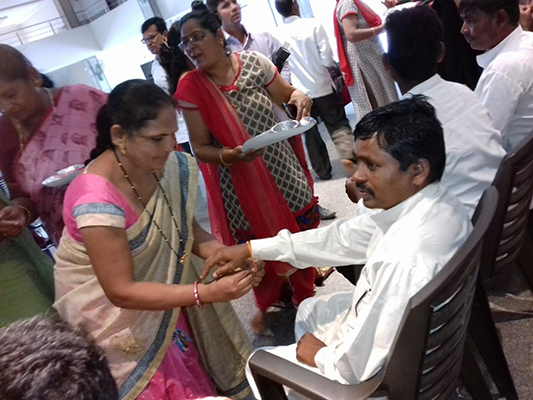 On 6th August 2018, Rakshabandhan was celebrated in Sonagadh GRC by Van Bandhu Parishad Women Committee Surat. 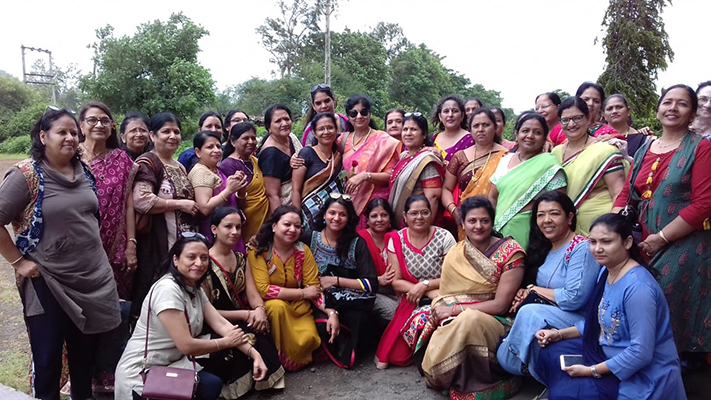 10 men from Sonagadh and Tapi zone committee and 20 sisters of women committee were present.Of the 6 zones of Gujarat, 29 of the Ekal and 40 volunteers of the Sanskar education were present. 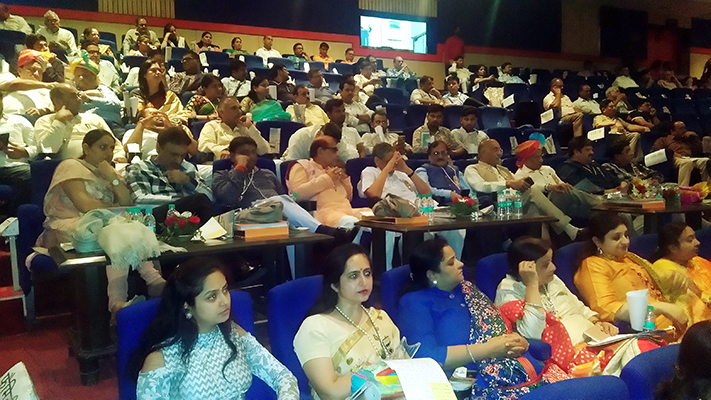 Smt Vijaya Kokra, Smt Manju Mittal, Shri Vinod Agarwal and Shri Brij Mohan Agrawal were also present. 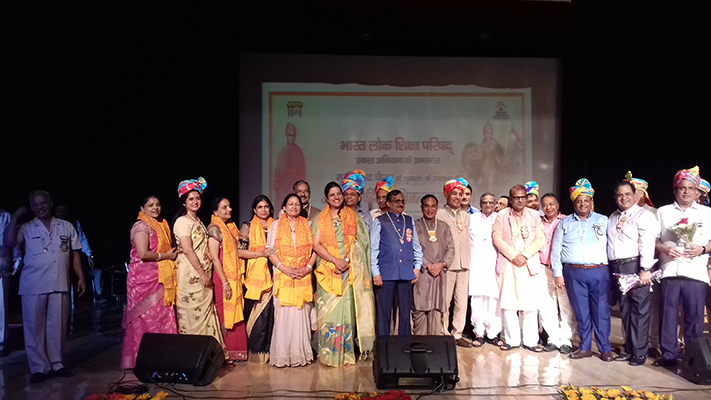 On the occasion of the sacrament of Rakshabandan, all the sisters tied Rakhi to the Harikathak brothers and Acharya brothers and were presented gifts.Women Acharyas of Ekal Vidyalaya were honored and they were given saris. 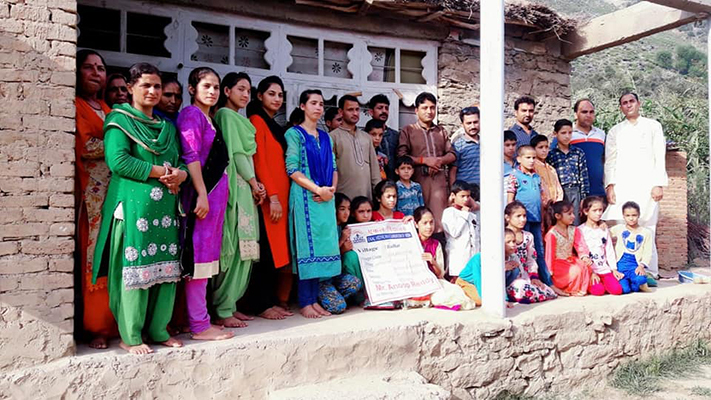 Biscuits and toffee were distributed to the children. 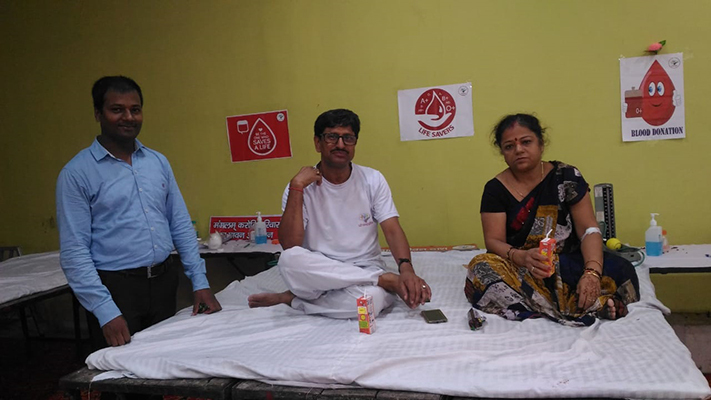 On 29th July 2018, a unique Samanvay baithak of Ekal Abhiyan was organized by Agra Chapter of Arogya Foundation of India to have Samanvay between doctors and members of Agra Chapter on one hand and Sanch Arogya Samiti of Fatehpursikri ARC on the other. In this context a list containing the names of 18 doctors was released. 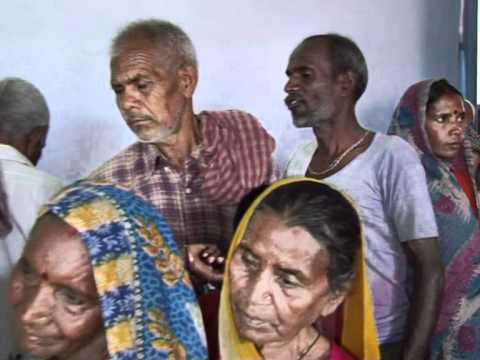 They have adopted one village each to look after its development through Arogya Sevika. It was also decided to have meeting once every month with different wings of Ekal team. 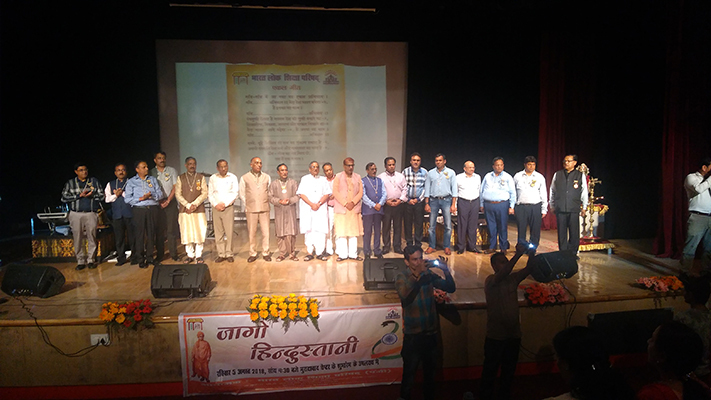 Different wings of Ekal like FTS, HSS and AFI presented their history since inception to present status. 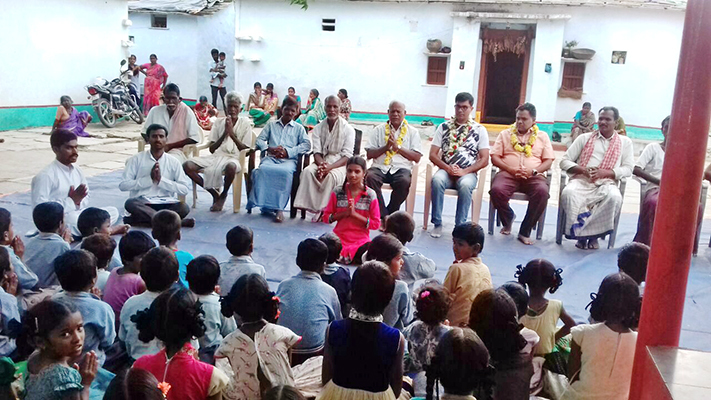 A participatory session was also organized on how to connect the city people with the villages. 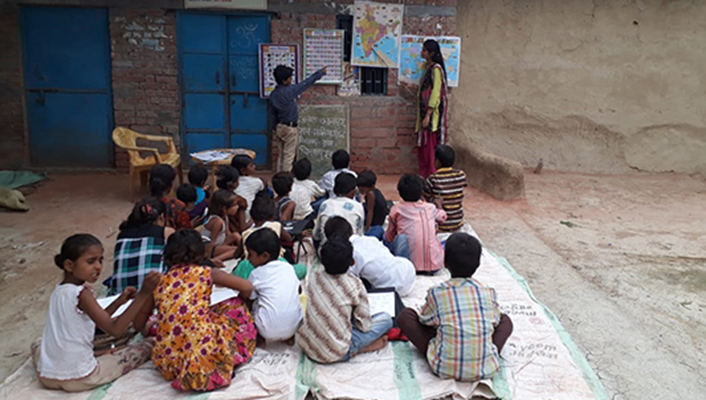 In order to strengthen and spread continuous knowledge to Ekal children Bharatiya Lok Shiksha Parishad distributed Maps of India and the world. 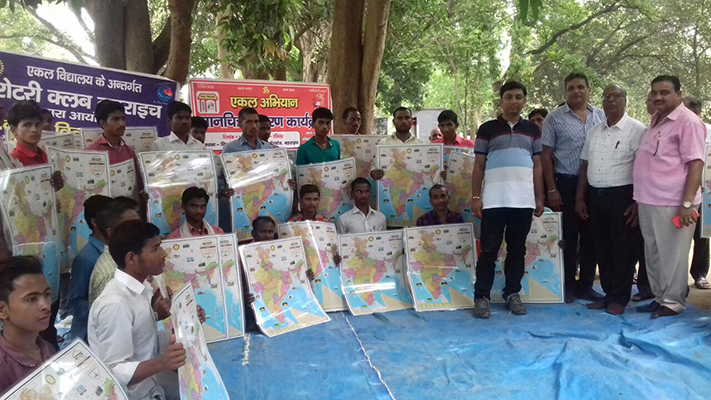 Maps were distributed for the Children to get full information about the geographical conditions and help them get acquainted with their country. 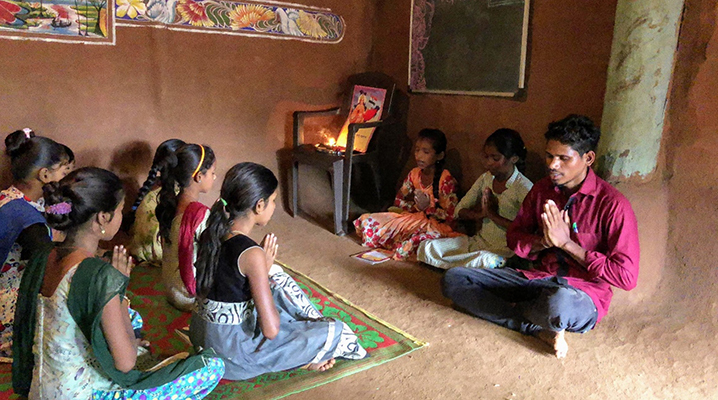 Ekal Vanyatra experience - The kids & villages stole our hearts! Shri Vivek Agarwal who lives in Tampa, Florida visited India with his wife and two sons. He has fond memories of his childhood days in Surat. While growing up, his parents instilled a deep love for education and learning. Education for underprivileged children is a cause very near and dear to his heart. 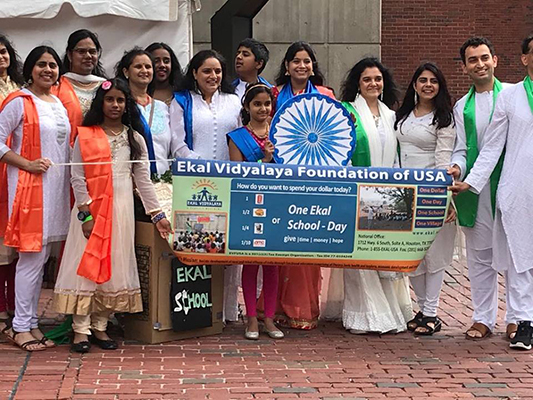 Shri Vivek Agarwal and his family had the privilege to be supporters and volunteers for Ekal for over 15 years and are part of an amazing volunteer team in Tampa. 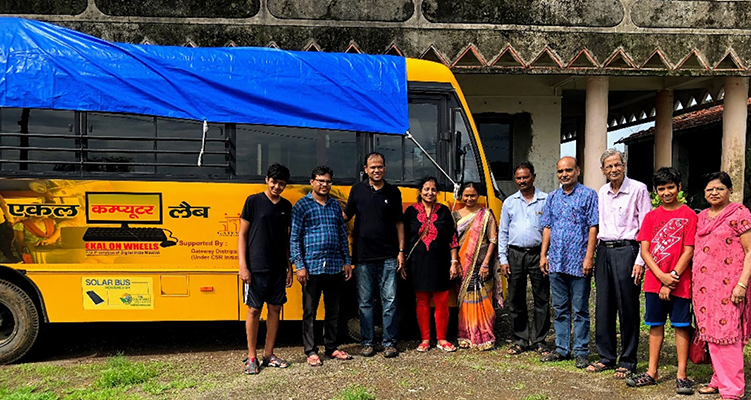 During his visit to India along with his family, he had an opportunity to visit two Ekal Vidyalayas Saatkashi and Pagadh Dhuva, roughly 3 hours drive from Surat. 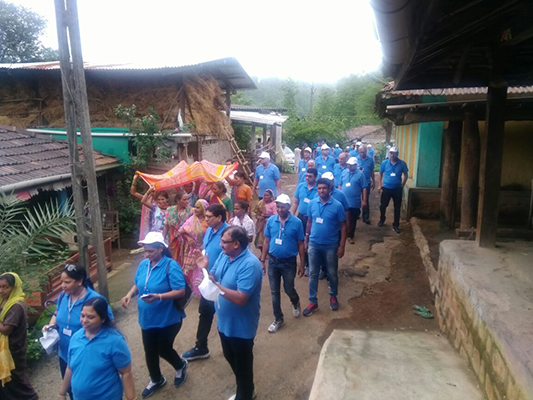 They were amazed by the love and dedication of the teachers and were impressed by Ekal’s emphasis on overall village development (Graam Utthaan). 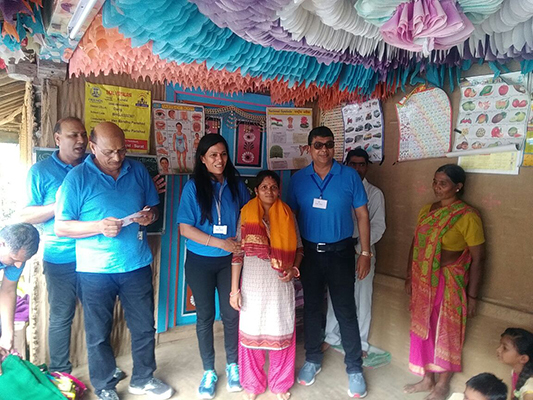 They also visited the district Ekal center where tailoring, prototype organic fertilizers and farming techniques were taught. Although a lot has been done by Ekal already, this trip was a great reminder of all the work that still lies ahead. So much more can be done to enhance literacy, nutrition, health, electrification, women empowerment and provide growth opportunities for the underprivileged. 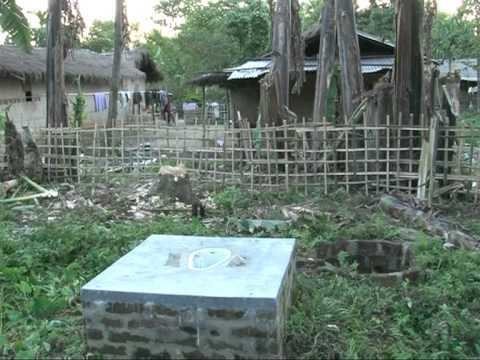 We can help these villages become stronger and self-reliant. 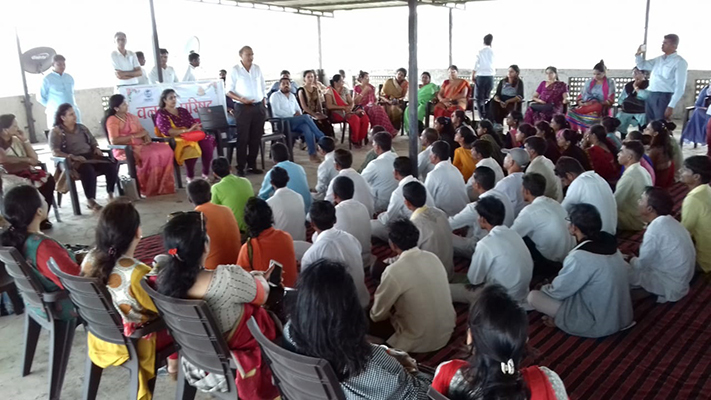 FTS, Surat chapter conducted a Vanyatra on 29th and 30th July 2018. 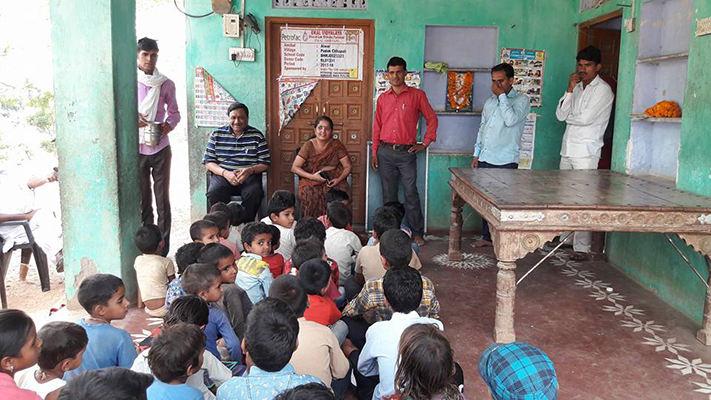 Ekal Vidyalaya in Kundagauv and Motidhabdar villages in Dang village in Gujarat were visited by a 40 member team. The visitors were well received by the villagers and the children sang welcome and patriotic songs. 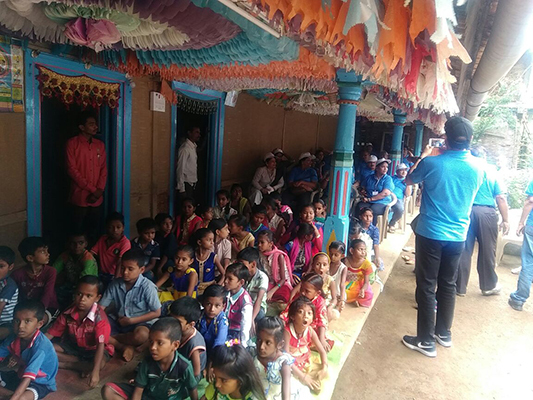 Regular classes were taken during their visit and they were amazed by the knowledge, discipline and enthusiasm of the tribal children. Shri Brijmohan Agrawal, Shri Shyam Gurg, Shri Vidyakar Bansal and Shri Vinod Agrawal of Surat chapter accompanied the visitors. Shri Rajesh Kumar Soni (U A.E.) recently visited Bandamipalli Ekal Vidyalaya in Parigi sanch of Telangana anchal in Andhra Pradesh. He planted a tree at the village. 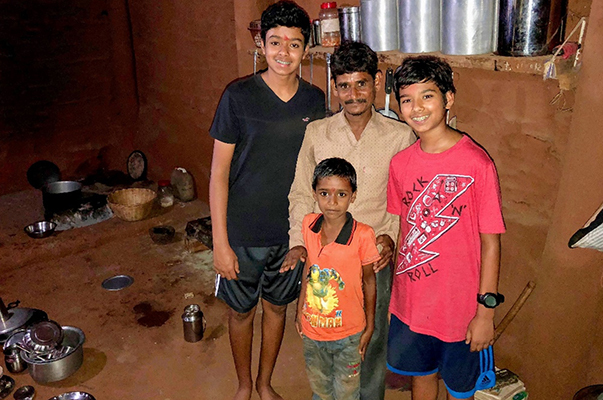 He was happy with the way Ekal works at the village. 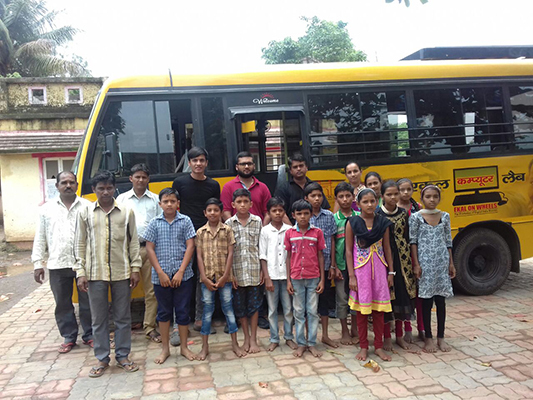 They distributed 30 certificates in tailoring training centre and 19 at computer IT lab and met 60 village acharyas of Shikharji Sanch and Parasnath Sanch and distributed Uniforms (dress). 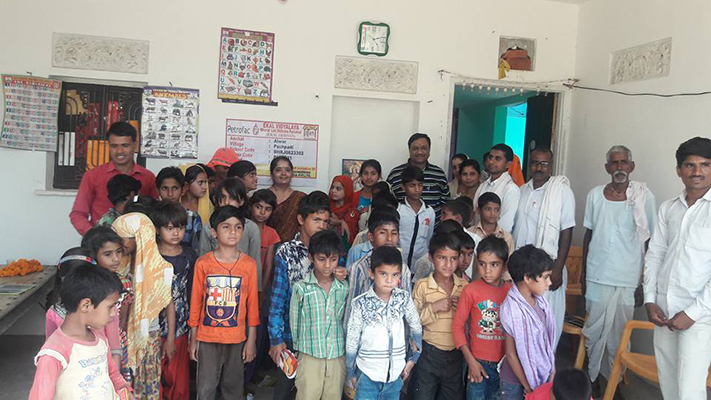 Shri Manav Pawan Kumar, Smt Ramayya Parvathi, members from Delhi Petrofac India visited two Ekal Vidyalayas in Pratapghar Sanch of Alwar Anchal, Pachpadi village.Purnnamal Polwalji Shivaram ji, Rekhaji and HiraLal ji were present on the occasion. 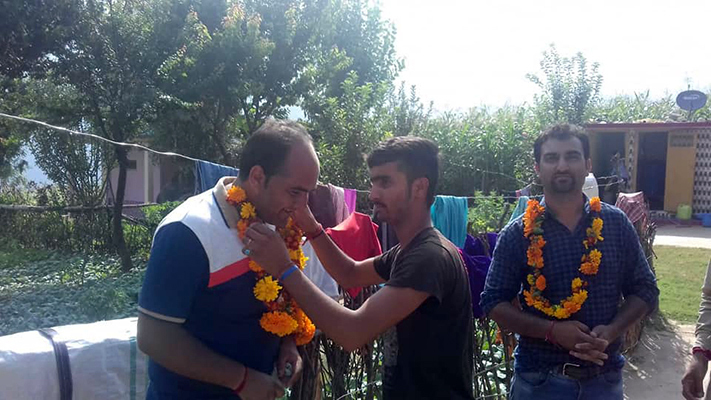 The visitors were welcomed by Tilak and garland by elders from the village committee. 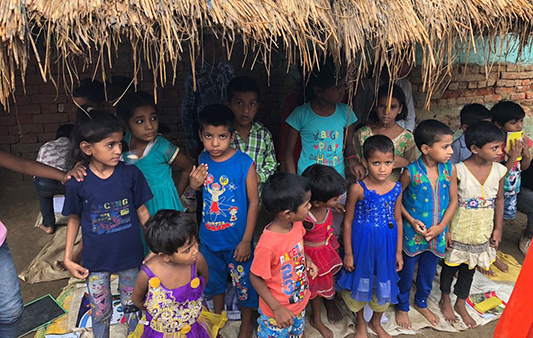 The children narrated stories and poetry.Visitors spent some good time with the children and encouraged them to study and told them the importance of education. 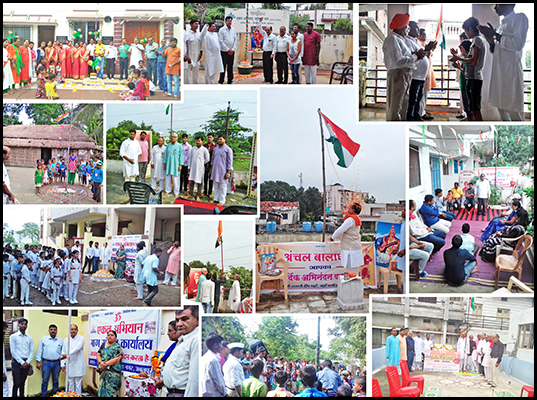 A Vanyatra to Sarund sanch of Kishtwa anchal was organized for Shri. 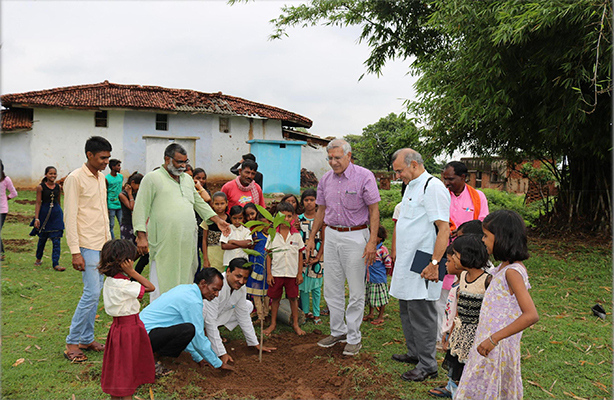 Bansi Lal, President of Zone Committee, Shri Bintu, Chairman of Arogya foundation, Shri Uday and KAS, for the first time. They were very happy visiting Ekal Vidyalayas. Shri Kuldeep, Smt Aarti and Asha were also present in the Vanyatra. 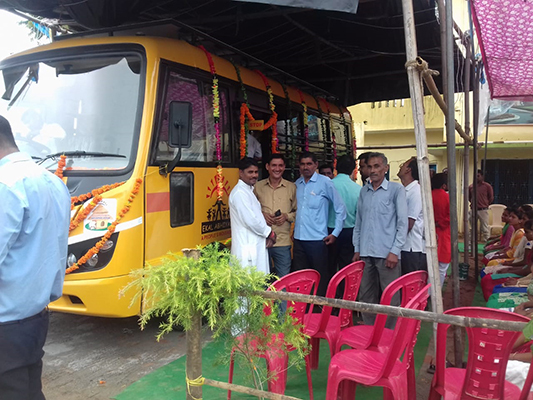 Shri Sunil Bagriya, from US went on a vanyatra with the Kanpur chapter. 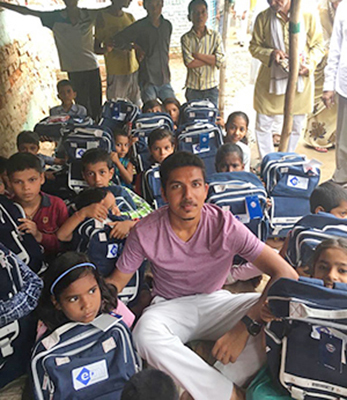 He donated school bag, water bottle and umbrella to all Ekal children in the village he visited.